It’s been a while since I posted a ‘fashion’ blog and I’m missing playing with my love of fashion! It is my intention to spend some more time on this section of my blog in the coming weeks:) But this week’s findings are a great one! If you’re after a new sportswear range of clothing for your wardrobe and you’re sick of wearing the same gear you’ve had in your cupboard forever, then look no further I have found the perfect range for you! 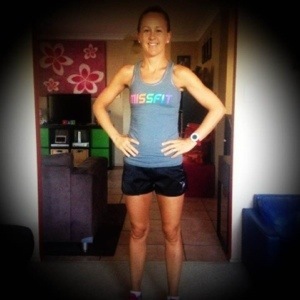 Kate Beeley is a healthy, fit and dedicated mother of 2, who has her own personal fitness business – MissFit Personal Training and in 2011, she designed and started her own sportswear range for her clients and anyone looking for comfort and style! 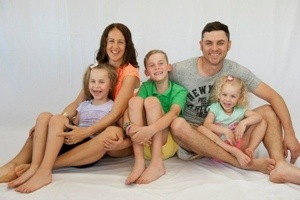 Kate is a wonderful role model for women, especially mums who are looking to get back into shape after having a baby and need the motivation and encouragement to do so. 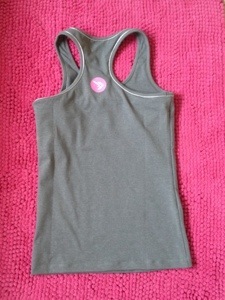 MissFit is a quality and affordable range of sportswear that I highly recommend. There are several items to choose from which range in style and colour to meet your needs. You can either browse and purchase online or visit the store which is located on 429 Old Cleveland Rd, Coorparoo. 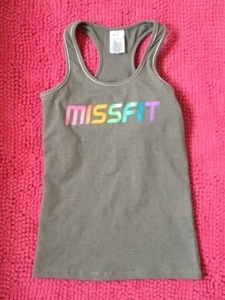 I haven’t had the pleasure of visiting the MissFit store yet, but I have full intentions of doing so in the near future. 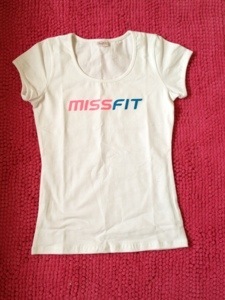 Instead I made my purchase of my MissFit sportswear online and I’m happy to say it was a pleasurable experience. It was easy and I received my goods within a few days of purchase. I was also lucky enough to be able to take advantage of the 30% off sale that MissFit was offering last weekend, in conjunction with the Brisbane Health and Fitness expo held at the Convention Centre. 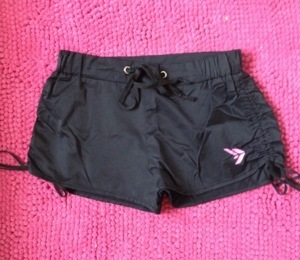 Simply and comfortable black running shorts…I wore these yesterday and they are amazing!!! 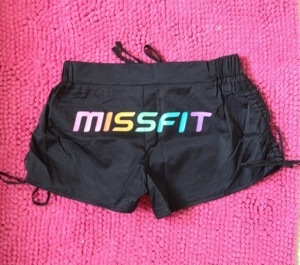 These are MissFit’s new range called bubble shorts…I love anything with rainbow print. The leg length can be adjusted with the side laces – also very comfortable! 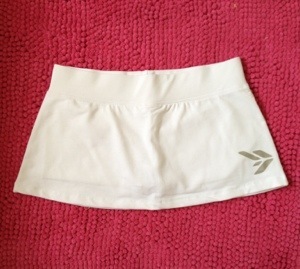 I feel like I should be out playing a game of tennis in my skorts…the material is super soft and beautiful to wear! My favourite top, not only because it has the rainbow print, but it’s firm and the material is lovely to wear. It also has a shelf bra to keep the ladies firmly in place! 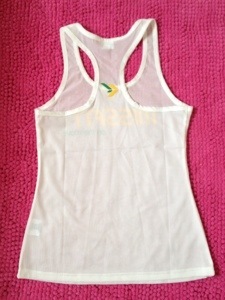 Perfect for summer this mesh top is going to be worn heaps on my 10k runs! 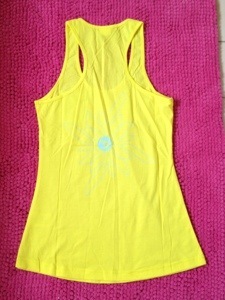 I love yellow, so this top sold me straightway! 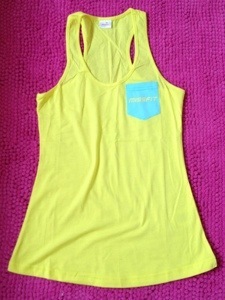 Nice lightweight cotton material and could even be used casually with a pair of shorts! Simple T style shirt but a beautiful quality material that is perfect for cooler mornings. The total of my sale came to $157 with free postage as I spent over $150. With the 30% off sale, I saved myself $70!!!! These are my first MissFit purchases so far. I’m all fitted out for summer now, well so I thought until I saw some of the new stock that I MUST have!! I wore my first MissFit outfit yesterday and I was so impressed with how comfortable each piece was, especially the shorts!! 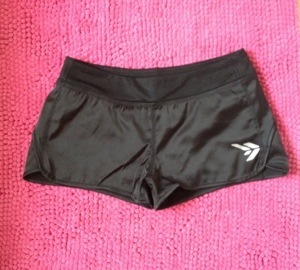 I find as a runner, I need my comfort to be not only in my shoes but my shorts or tights. I was so happy to finish my 10k (flat) run yesterday with the second fastest time I’ve ever run (48.32mins) – must have been the outfit…thank you MissFit;)! 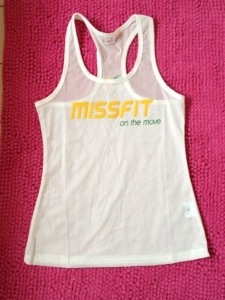 I look forward to wearing each of my new pieces of MissFit sportswear as I start a new week of running! Be sure to head over to the MissFit website www.missfitsportswear and check out the full range of MissFit sportswear and pricing. 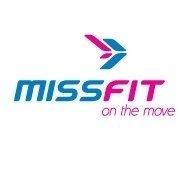 MissFit Sportswear also has its own Facebook page, where you can be kept up to date with all the new stock and current promotions and discounts!